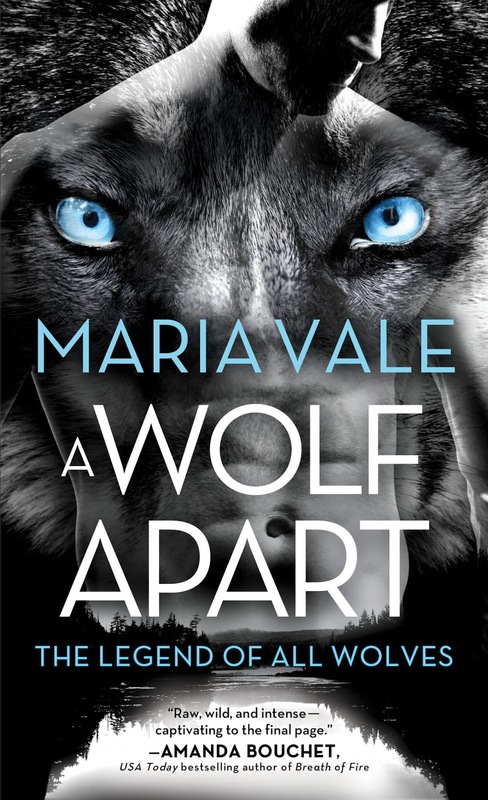 Enjoy this excerpt from A Wolf Apart where Silver must face her lying-in, the last weeks of her pregnancy. It is a deeply stressful and arduous time and Elijah and the Pack do everything they can to care for her. And when it’s all clean and stocked, the Alphas head out to the Meeting House to retrieve Silver herself. I link elbows with Eudemos to my left. Across from me, Tristan takes my hands. Altogether twelve of us, with Evie at the head, join hands and arms, linked together in this unbreakable chain of responsibility. Silver’s slight body will be laid across our arms, and we will carry her to the Boathouse. Silver may be the weakest member of the Pack, but she is about to fight the hardest battle a wolf can face. Up until now, the little beings inside her have changed in response to their mother’s hormones. Soon, they will start responding to each other, and for the next month, Silver will be forced to follow the whims of the four tiny tyrants as they change from skin to wild and back again. If she doesn’t change when they do, if she gives up, her body will see them as aliens and destroy them. The pups will die, but so will Silver. 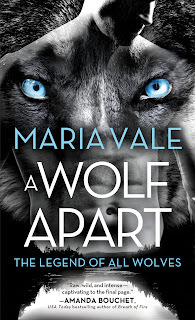 Every Alpha, the whole Pack, owes her its support, but Victor and a small group of sullen Alphas stand back, gathering around the edges. Tiberius is already in the large chair, waiting anxiously when we carry Silver in and lay her down. Pillows are fluffed. Blankets are tucked. Then one by one, the Alphas bend over her. Most mark her, though some do not touch her skin. Evie does it last, of course. She squeezes Silver’s hand tightly and whispers something to her. Silver nods. She seems so small in the middle of the huge mattress built to handle a more viable female. Everyone looks expectantly at Victor standing at the foot of Silver’s bed, waiting for our Deemer to give the traditional blessing that marks the end of the ceremony and the official beginning of Silver’s lying-in. But Victor says nothing. Because he is standing in front of me, I can’t see his face, but I see the slight movement of his head as he scans the gathered Alphas. Lorcan nods slightly. So do two other younger Alphas. Not Eudemos though. The burly Alpha of the 14th steps forward, positioning himself behind Silver and Tiberius. The thing I thought I saw when I fought Tiberius is real. Victor doesn’t like change, doesn’t like what’s happening to the Great North. He wants it to go back to the way it was, when we were all, at the very least, wolves. Because I am descended from the wolves of Mercia, he thinks I am an ally. I know how to speak our tongue. I know our laws. I studied them for years at the feet of the ancient Sigeburg, our previous Deemer. What he doesn’t know is that I am an abomination much more terrible than a half Shifter. I am a monster beyond his worst imaginings. I am a wolf who loves a human. “Wes þu gebledsod,” he starts with a squeak. Be thou blessed. Be thy body as strong as the tree. Be thy will as hard as the mountain. Be thy young as wild as the storm. Be thy land as plentiful and untouched as the stars. Be the lead of men as soft as snow upon thy fur. Be thou blessed. I let go, my left hand covering my right, my head still lowered. Wes þu gebledsod, I murmur with the rest. He stomps away, followed by Lorcan and those two other young Alphas. Had he been any other Pack, I would have challenged him in the paddock, but I can’t. I am a lawyer. I understand the need to protect judges from intimidation and influence, but that doesn’t mean I wouldn’t dearly love to tear his miserable hide to shreds. The room has cleared, leaving only Gabi, the ob-gyn, who has once again taken time off from her Offland practice, and Alex, the radiologist who is fitting Silver with an ultrasound holster so that he can give her as much warning as possible that her progeny are switching species. At the door, I watch Tiberius hold her hand. He looks momentarily at the four little bodies in her body, but then his eyes go careening around the Boathouse, searching for something solid and real and comforting that isn’t the woman who is both the source of his strength and his ultimate weakness. Then I lope back. Leaning down, I mark Tiberius, first along one cheek, then along the other. As I leave, Silver gives me a sad, hopeful smile full of sharp teeth.